Pneumonia is a lung infection that can make you very sick. You may cough, run a fever, and have a hard time breathing. 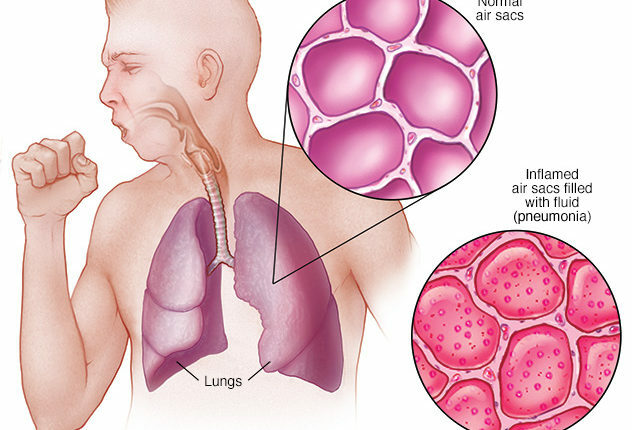 For many individuals, pneumonia can be treated at home. It often clears up in two to three weeks. But elderly adults, babies, and people with other diseases can become very ill. They might need to be in the hospital. Pneumonia usually starts when you breathe the bacteria into the lungs. You may be more likely to find the disease after having a cold or the flu. These health problems make it hard for your lungs to deal with infection, so it is easier to get pneumonia. Having a long-term, or chronic, disease like asthma, heart disease, cancer, or diabetes also makes you more likely to get pneumonia. Anyone can get pneumonia. It’s commonly a complication of a respiratory infection—especially the flu—but there are more than 30 different causes of the illness. Older adults, children and people with chronic disease, including COPD and asthma, are at high risk for pneumonia. Pneumonia symptoms can vary from mild to severe, with regards to the type of pneumonia you have. Symptoms also can vary, depending on whether your pneumonia is bacterial or virus-like. 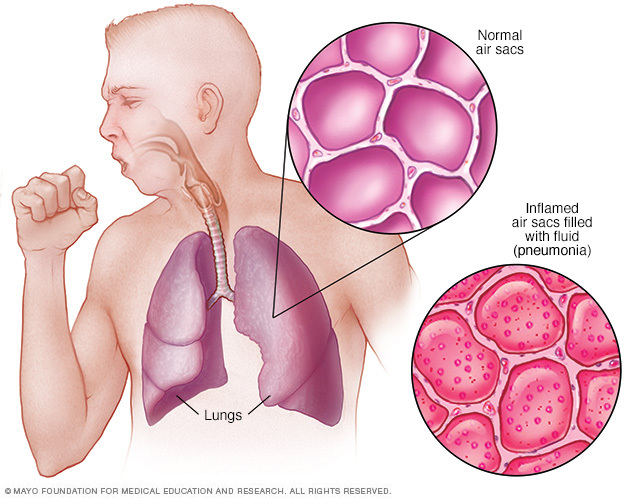 Pneumonia is usually the consequence of a pneumococcal illness, caused by bacteria called Streptococcus pneumoniae. Various types of bacteria, including Haemophilus influenzae and Staphylococcus aureus, can also cause pneumonia, as well as malware and, more rarely, fungus.